Brett is committed to developing a highly competent and knowledgeable team to develop quality long lasting relationships with clients. “I wish to grow together with all of our clients by providing tailored solutions to their business needs”. Brett has been with the firm since 1996 and his professional career has been predominantly in taxation and business advisory. Brett progressed to Director in June 2006. 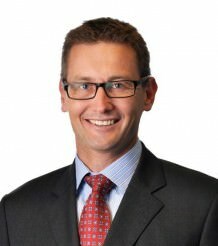 Brett has experience in advising on structuring, business sale and purchase transactions, GST, fringe benefits, superannuation, asset protection, tax planning and managing taxation commitments.